BRYAN EATON/Staff photo. 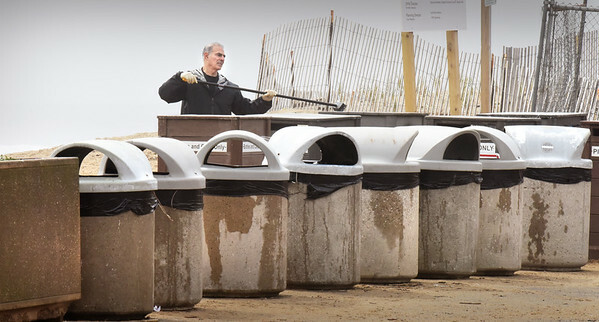 Fred Abdulla, owner of Joe's Playland, cleans off the tops and side of pizza box trash containers as well as recycle recepticles and regular trash bins. He and other volunteers for the Salisbury Beach Partnership did some power washing and general cleanup of the area around Broadway on Wednesday morning. They later painted the trash cans a light gray and will have artists decorate them at a later time.